73532185 -This long-trusted text features an interdisciplinary, cross-cultural, and contextual perspective on development. Applications to psychology, health care, social work, education, and family dynamics make this a perfect book for classes with a mixed population of majors. And now with Connect Lifespan with Milestones , Through Milestones video and assessment program, Connect brings the course material to life, so your students can witness development as it unfolds. Continuing the hallmark diversity coverage of the prior nine editions, Crandell et al once again do an incomparable job examining populations at risk and explaining how they experience development and why their experience is different. 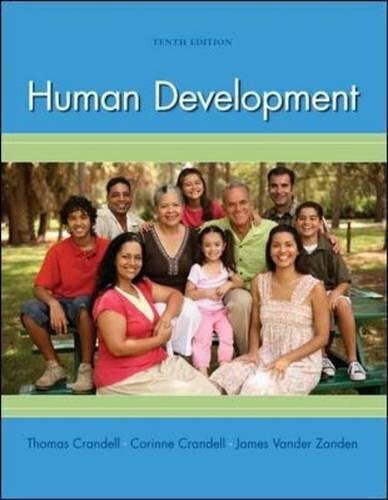 With more than 1000 new references, the 10th edition has been updated throughout to reflect the latest information available in human development.